Covers Greek and World basketball team, championship and cup subjects. Forum for Greek national team and Greek basketball fans to discuss team news, rumors, games, etc. 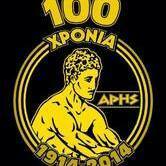 Forum for AEK fans to discuss team news, rumors, games, etc. Forum for Aris fans to discuss team news, rumors, games, etc. Forum for Olympiakos fans to discuss team news, rumors, games, etc. Forum for Panathinaikos fans to discuss team news, rumors, games, etc. Forum for PAOK fans to discuss team news, rumors, games, etc. Forum for US National Basketball Association (NBA) fans to discuss team games, news, etc.